The State Library of Victoria is now subscribing to the UK National Archives Discovery Service . 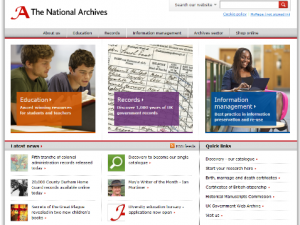 This provides free access to the digitised documents available on the National Archives website. The Archive holds over 11 million British historical government and public records from the last 1,000 years. Many of the most popular records are now available online and can be downloaded in PDF format. Many other collections of National Archive documents are already available online through such databases as Ancestry Library Edition and Findmypast.UK – both available in the State Library of Victoria. To help you find the records relevant to your research the National Archives have developed three excellent guides on looking for a place, a person or a subject. Access is also available from home to current Victorian residents who register as well of course as in the Library. Simply go to the link on Accessing eresources from home and sign in using your State Library registered user card. We encourage you to use this fabulous new eResource.